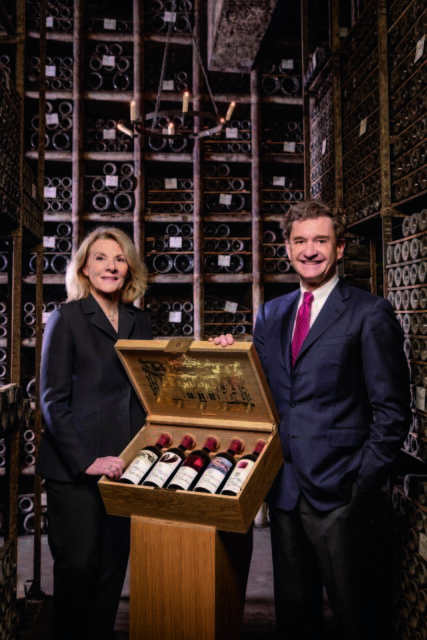 Sotheby’s has released further details of the sale taking place at the end of this month in Hong Kong – which it says will be the highest grossing wine sale “in history”. Announced earlier this year and taking place from 29-31 March, the ‘Tran-scend-ent’ sale is one of the biggest ever single-owner sales that has ever been offered by a wine auctioneer in any major market. In addition, the final day of the four-day sale will include ex-cellar bottles of Château Mouton Rothschild being sold to benefit the restoration of the Palace of Versailles and rare baijiu and whisky. The pre-sale estimates for Tran-scend-ent meanwhile currently range from HK$147-206 million (US$19-26m) and in total 2,704 lots comprising 16,889 bottles of wine will go on sale. The collection features often quite staggering quantities of some of the very greatest names in fine wine from region such as Burgundy, Bordeaux and Champagne. There is, of course, a large consignment of Domaine de la Romanée-Conti (250 lots in fact), spanning five decades from the 1950s to early 2000s. The heart of the Burgundy offering however must be the 600 lots of Coche-Dury – a “library” that is one of the biggest to ever be sold in one go and one which, possibly, “exceeds the stock held at the winery”. 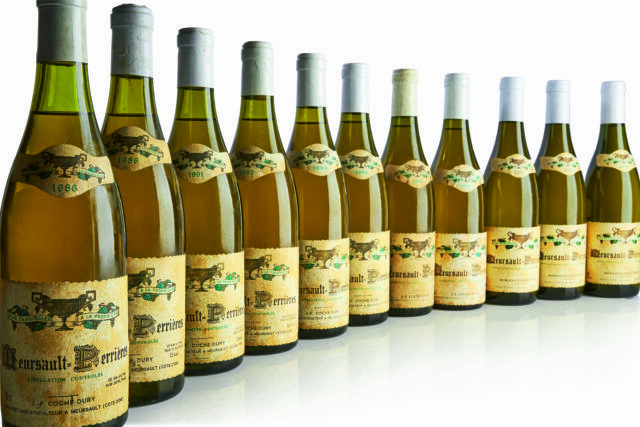 The line-up includes over 200 lots of Corton Charlemagne from 1988 to 2012, 170 lots of Meursault ‘Les Perrières’ from 1982 to 2014 and 90 lots of Meursault spanning 1989 to 2015, as well as bottles from the ‘lieux-dits’ of ‘Caillerets’, ‘Les Chevalières’, ‘Geneverières’, ‘Rougeots’ and Puligny-Montrachet ‘Les Enseignères’. There is also a “vast” collection of mature Champagne including the “entire range” of Dom Pérignon from its blanc and rosé iterations to Oneothèque, Oenothèque Rosé and P2 and P3 going back to the 1960s. Great Rhône and ‘historic’ Bordeaux back to the famous vintages of the 1940s complete the collection. Highlights from the sale are displayed on the following page. being released by Mouton Rothschild to help raise funds for restoration work at Versailles. As reported earlier by db, the cases include a bottle each of the 2005, 2007, 2009, 2010 and 2013 vintages, which all feature labels by artists whose work has also been exhibited at the palace. Each case has a pre-sale estimate of HK$32,000-140,000 (US$4,000-20,000). A further 50 cases will be sold in New York and London (25 in each), later this spring. The sale also features a strong array of fine wines from classic regions and producers with highlights including bottles of Jean-Louis Chave’s Ermitage ‘Cuvée Cathelin’ from the 1990s, various wines from Domaine Leroy and a double magnum of 1900 Château Latour. There is also a strong spirits component to the sale, with Scotch on offer including a bottle of Black Bowmore, 50 year-old, 1964 (US$60,000 high est.) and bottles from The Macallan’s ‘Golden Age of Travel’ range from 1937 (US$50,000 per bottle, high est.). Meanwhile, the sale will also feature a consignment of rare Moutai baijiu – the largest ever offered by Sotheby’s – including a half-litre bottle of the ‘Hong Kong Reunification with China Memorial Moutai 1997’ which could fetch as much as US$140,000. The other main bottles of Moutai being offered are listed on the following page. In total the 1 April sale is expected to realise HK$21-33m (US$3-4m).